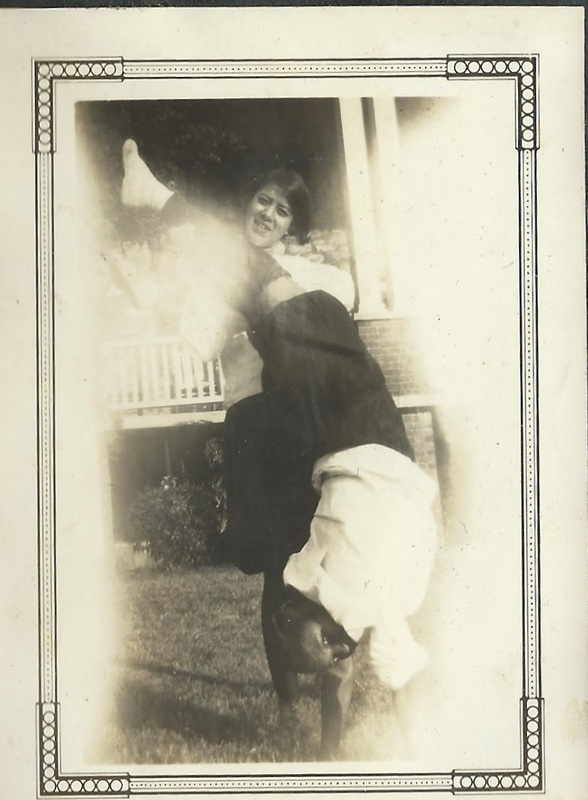 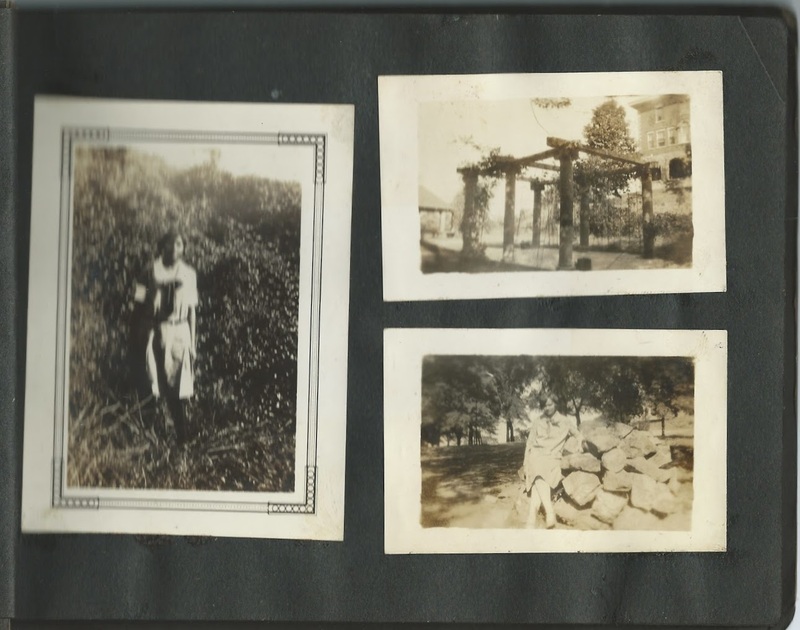 Vintage photograph album with photographs presumably taken at Barber Memorial Seminary at Anniston, Alabama. 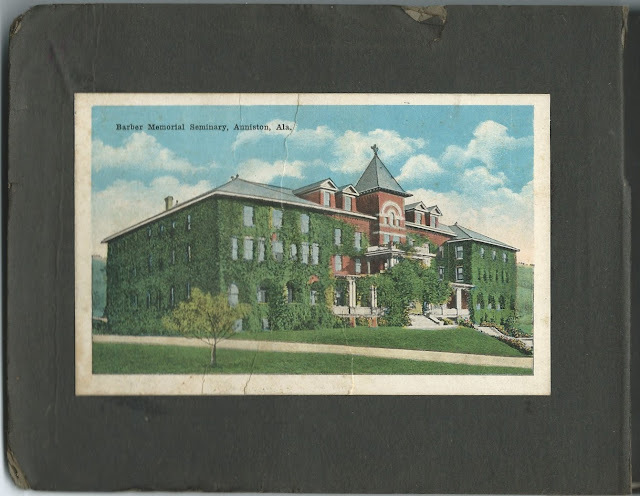 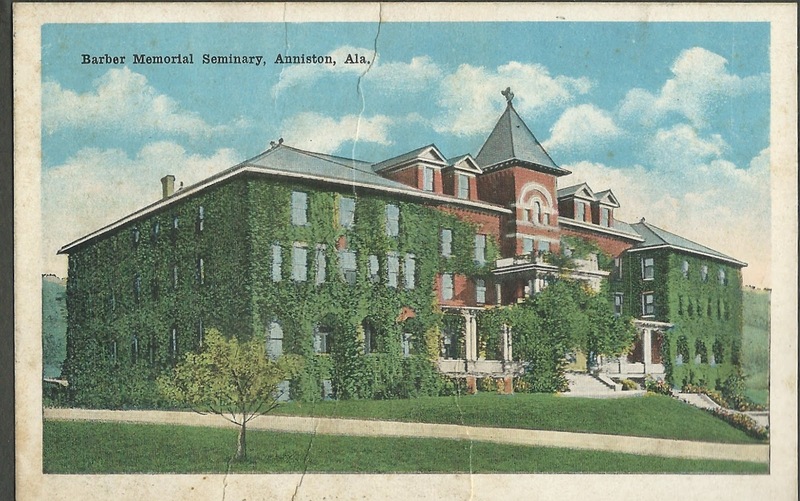 A postcard of the Seminary is pasted to the inside front cover. 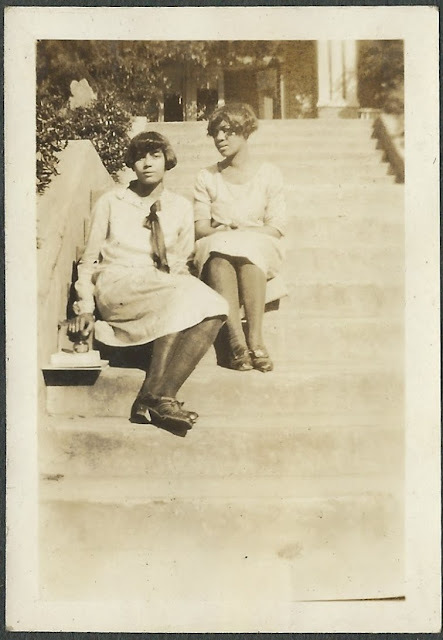 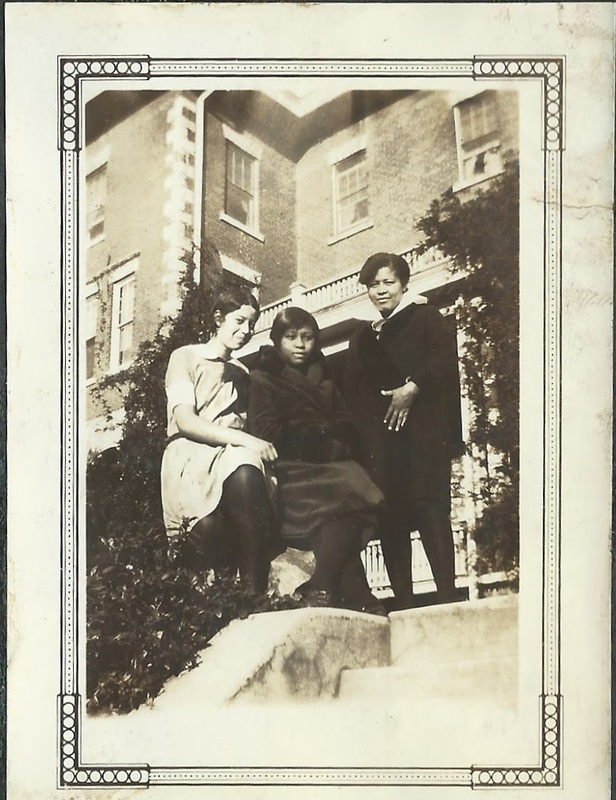 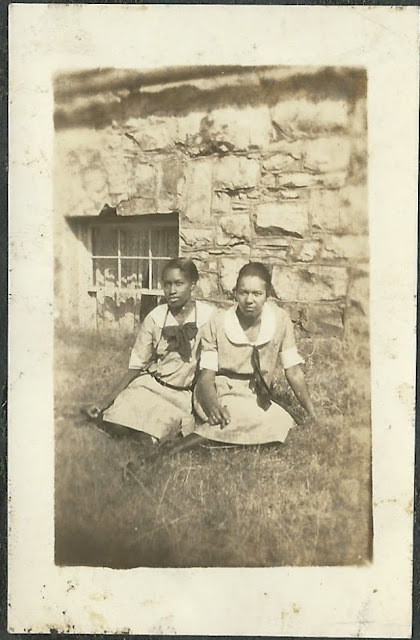 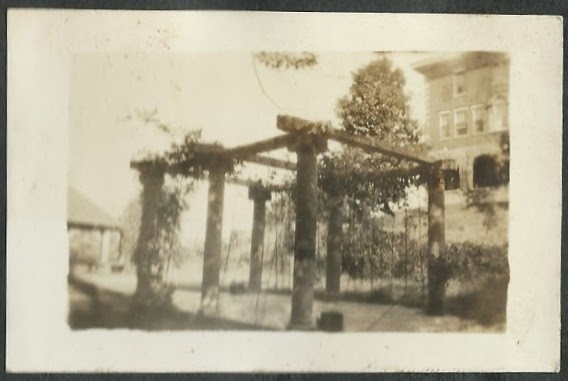 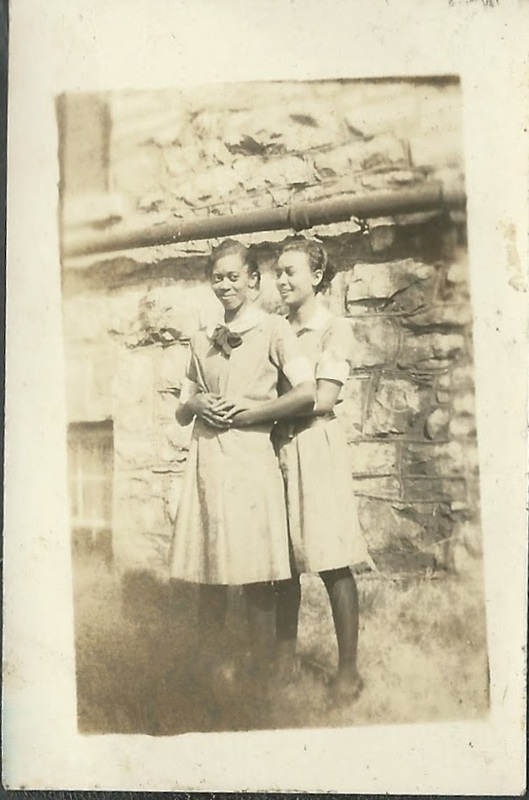 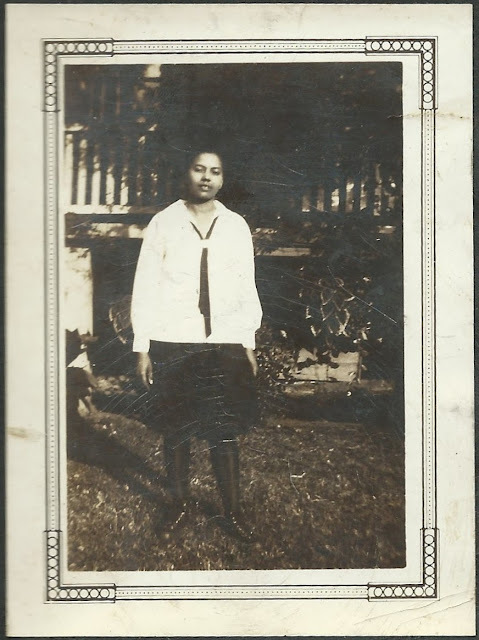 The Seminary, which offered elementary and secondary education for African-American girls, opened in 1896 with funds donated by Margaret A. Barber in honor of her husband. 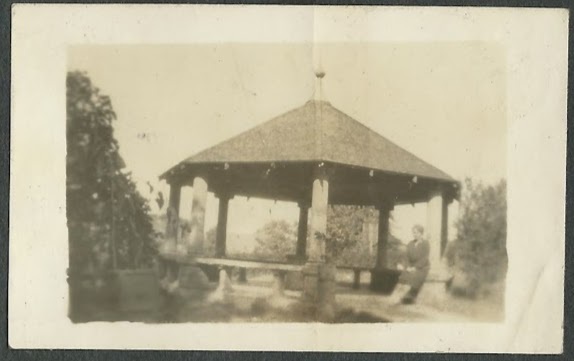 It remained open until 1940. 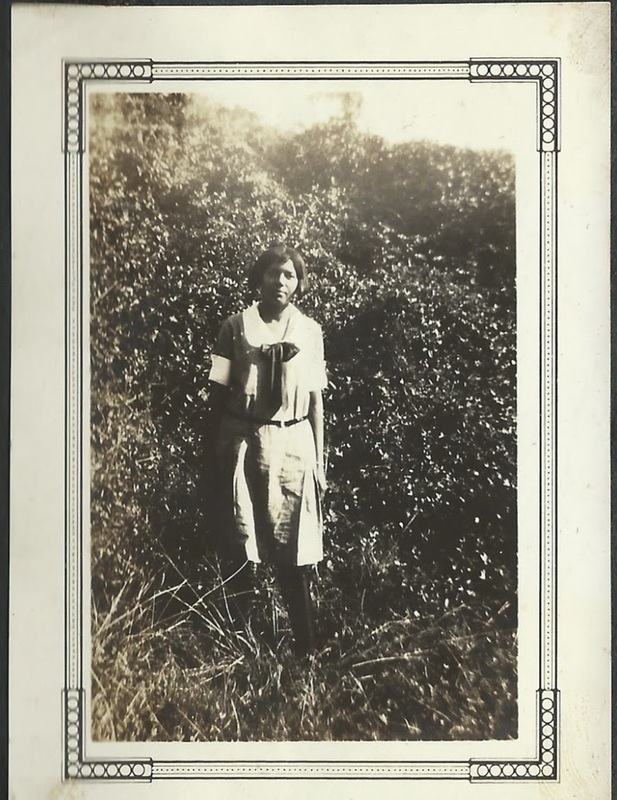 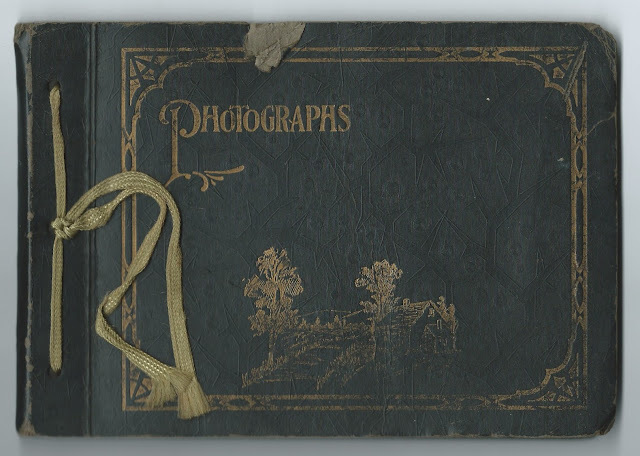 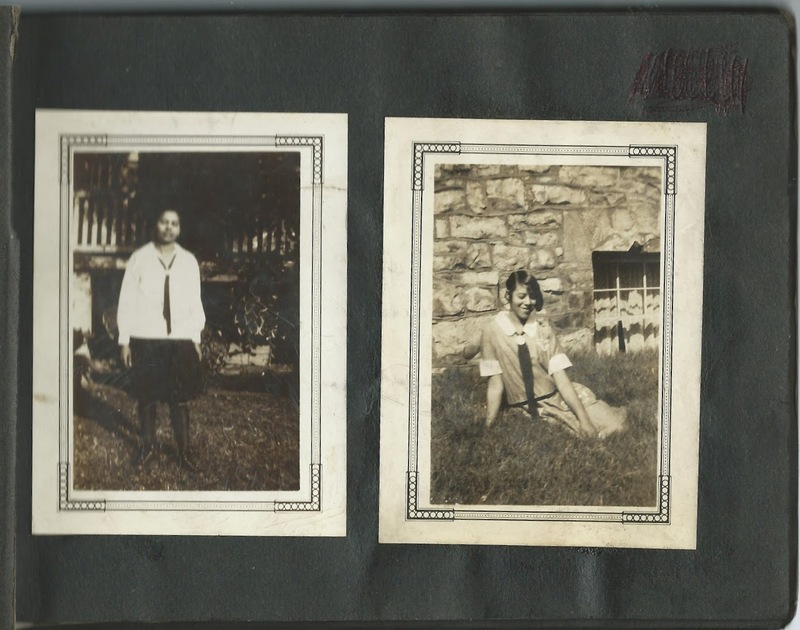 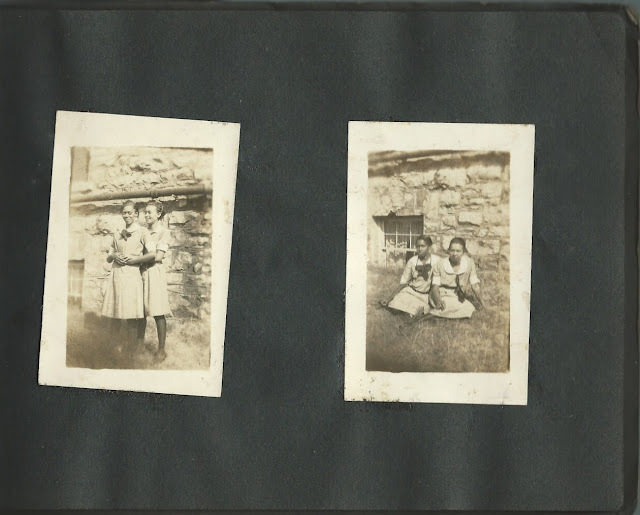 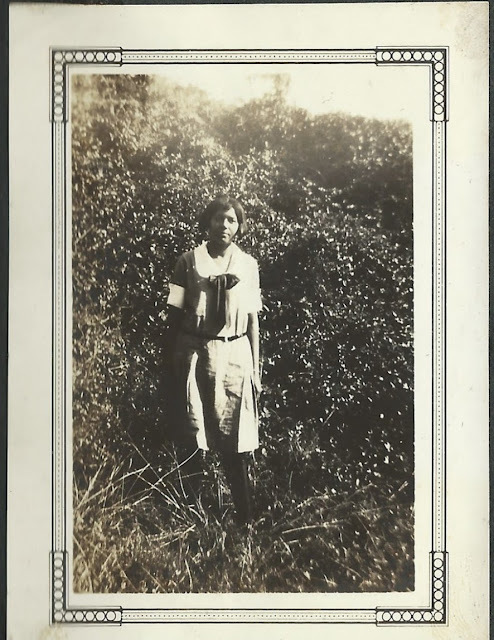 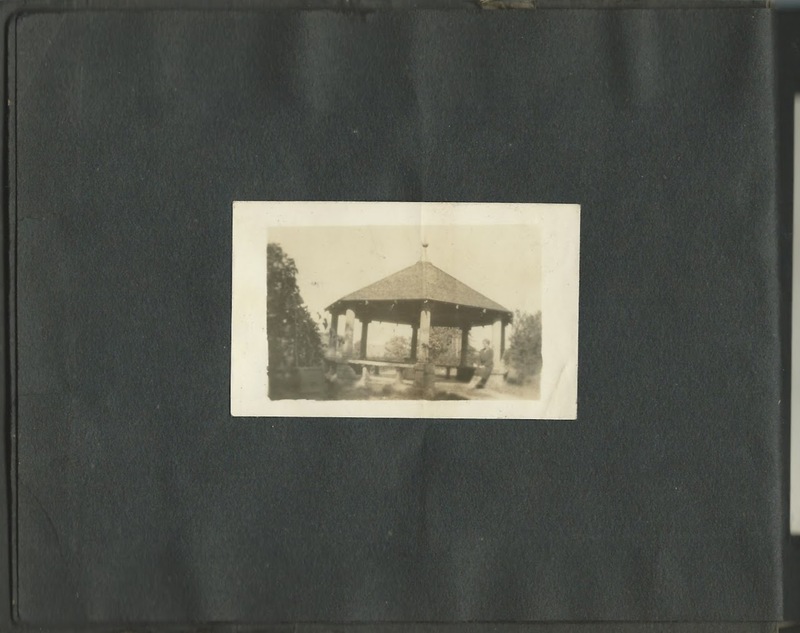 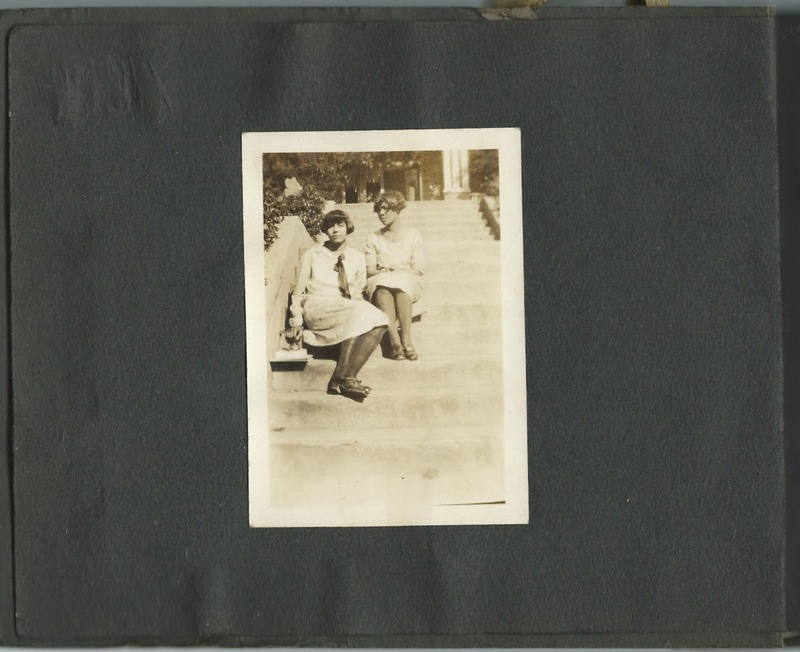 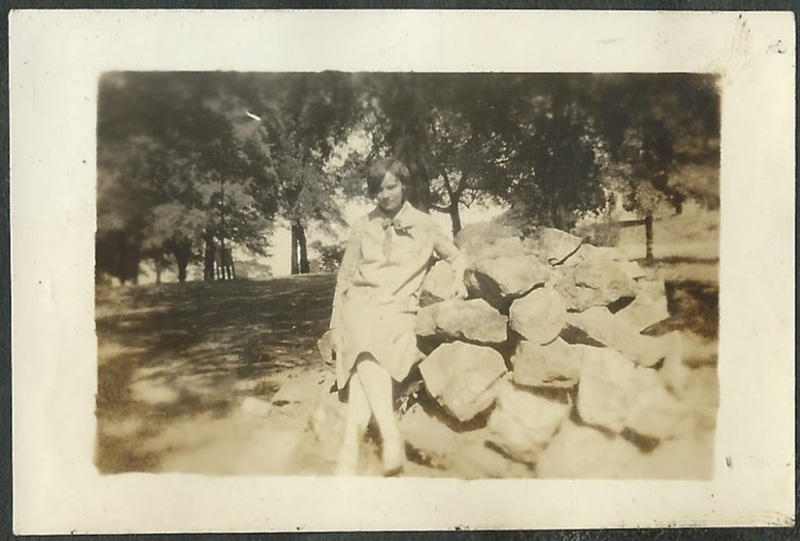 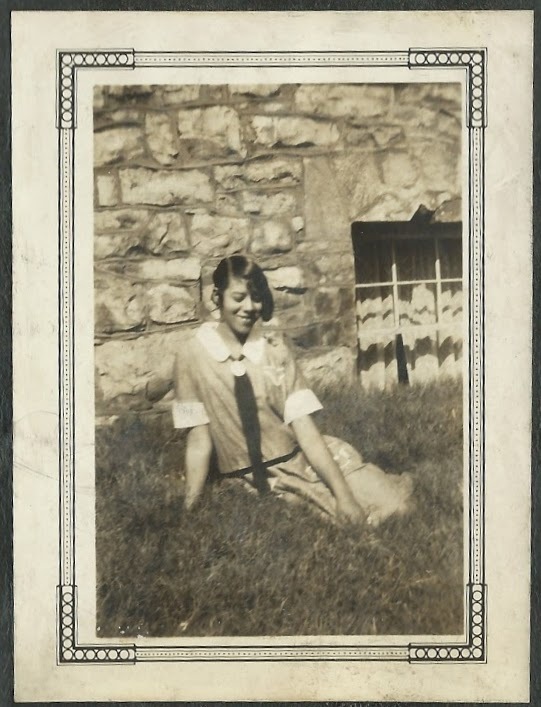 Sadly, there are no identifications in the album, unless there are some on the reverse of the photographs, which are securely glued on the pages. 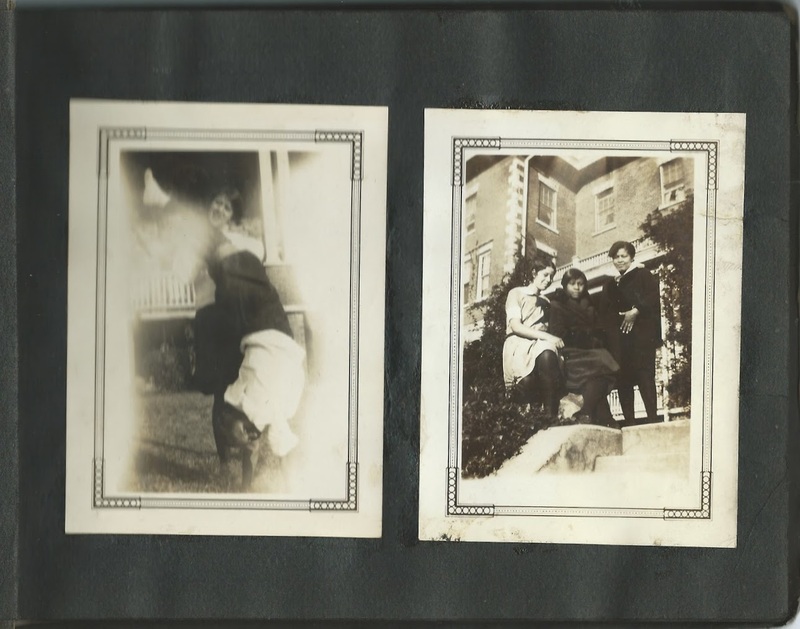 Below, enlargements of individual photographs. 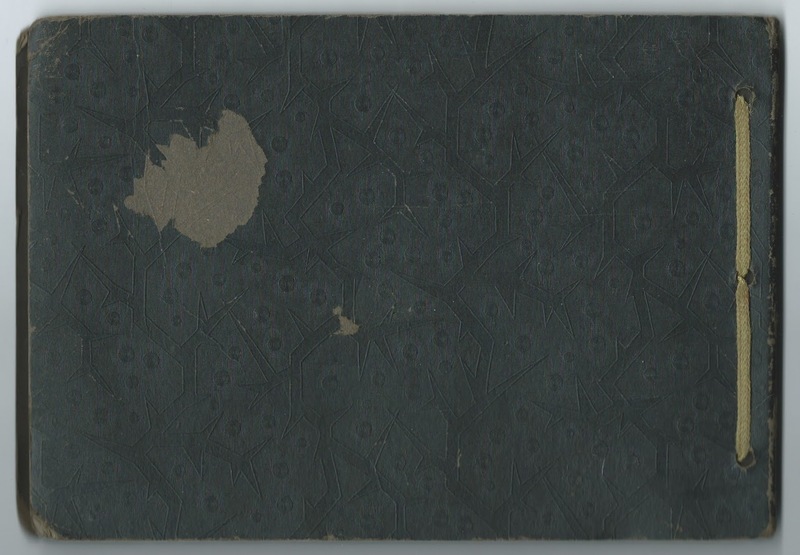 Images of all of the pages follow. It's tempting to think that the owner may have been this girl, who tucked in a couple images from a photo booth.